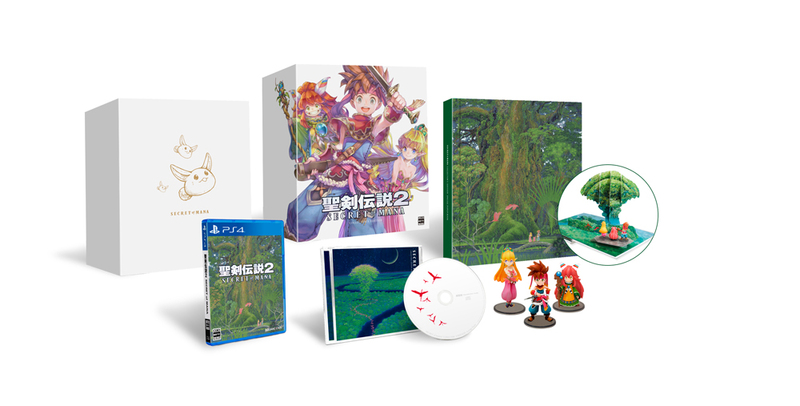 Square Enix has announced that they're making a full-blown remake of the legendary RPG Secret of Mana which will be simultaneously released worldwide. 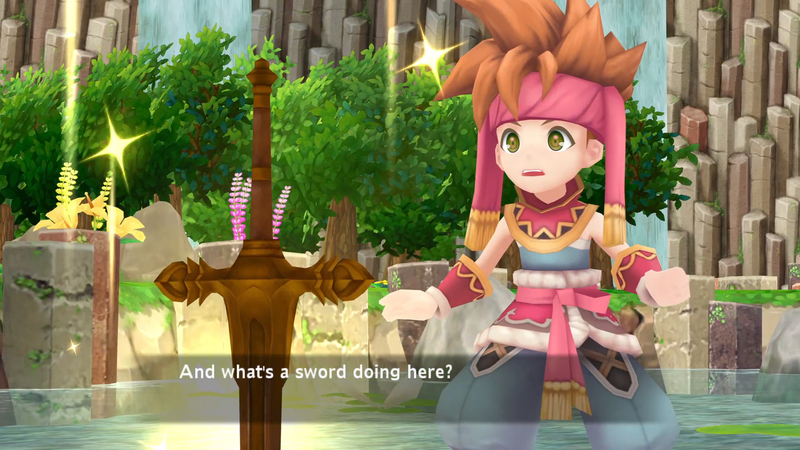 This remake will stay true to the original storyline revolving around Randi and the Mana Sword while updating it to have 3D graphics and a more accessible control scheme. 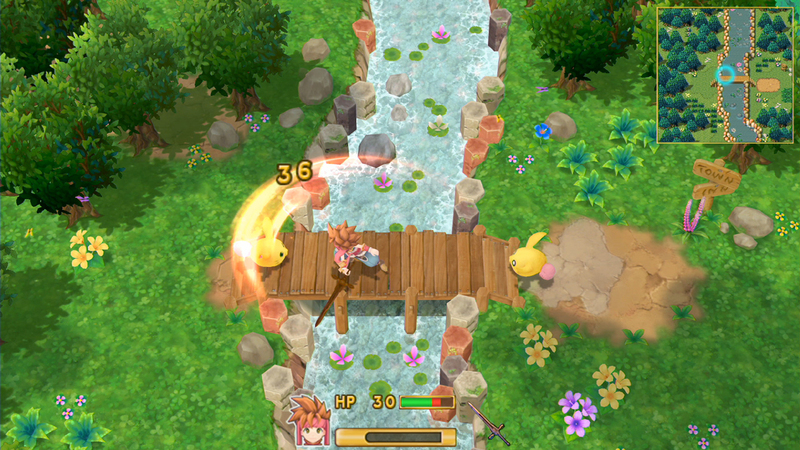 The Japanese official site added that numerous scenes in the original game will be re-enacted as Talk Events. Japanese voice actors for the main characters have also been revealed: Randi's voice actor is Kensho Ono, Primm's voice actress is Nozomi Yamamoto, and Popoi will be voiced by Emiri Kato. 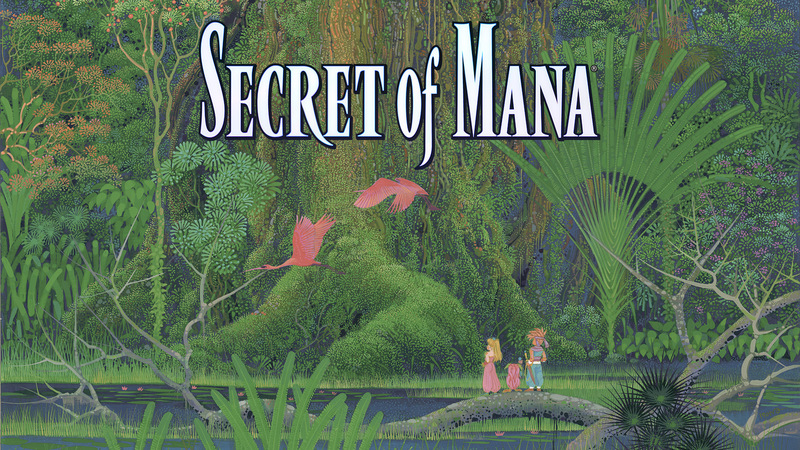 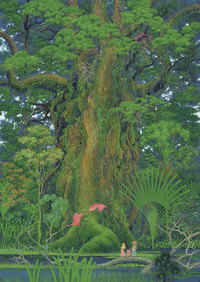 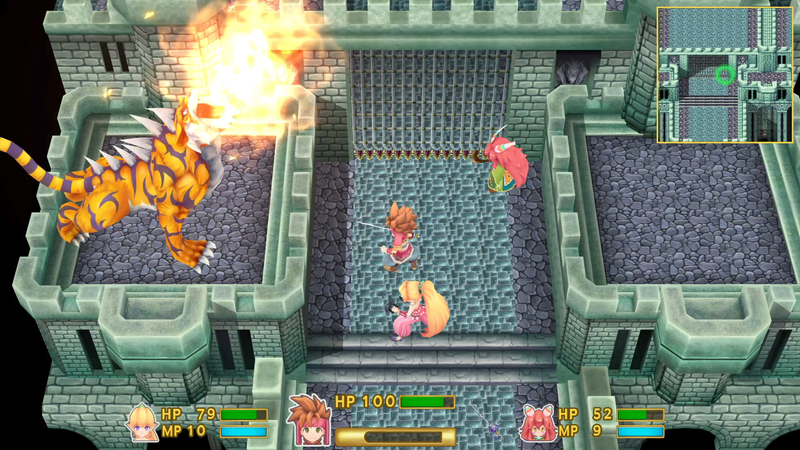 Secret of Mana will be released digitally worldwide. However, the Japanese release on PlayStation 4 and Vita will also have a physical version available exclusively there, along with a limited Collectors Edition which is only available at Square Enix e-Store and contains an artbook, a CD of arranged tracks, and mascot figures of Randi, Primm, and Popoi. 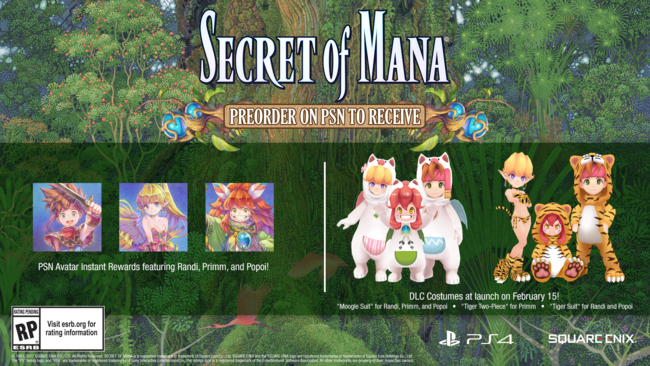 Secret of Mana will be released worldwide for PlayStation 4, PlayStation Vita, and Steam on February 15, 2018. 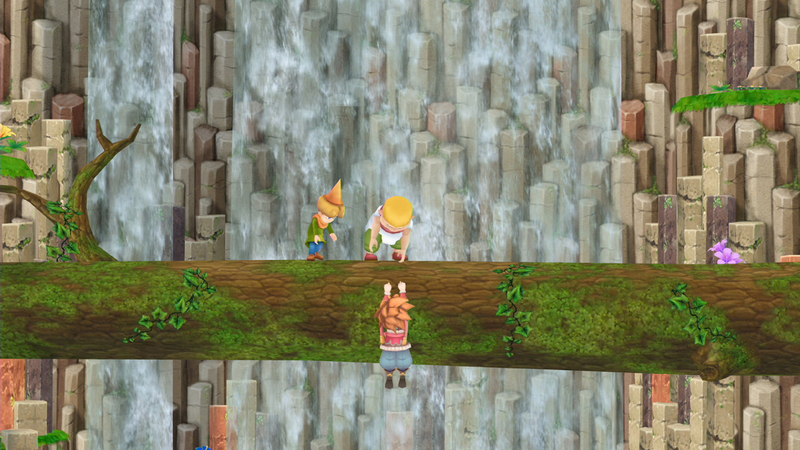 You can watch the announcement trailer and see more screenshots of the game below.